KANDU Industries Inc.The Christmas CommuniTree Competition & Show - KANDU Industries Inc.
Back by popular demand, Best Events and KANDU present The Christmas CommuniTree Competition & Show. 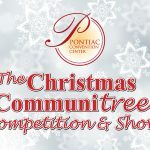 Businesses, organizations, clubs and groups are invited to provide and decorate their own tree for display throughout the lobby and banquet areas of the Pontiac Convention Center. Completed trees will then be voted on by the public, based on most innovative concept and best theme. Winners will receive a $300 cash prize! Participation is free and trees can be set up from November 13th through November 22nd. Public viewing is open from December 4th through the 22nd and is also free of charge. Call (608) 531-0284 to enter your tree today!